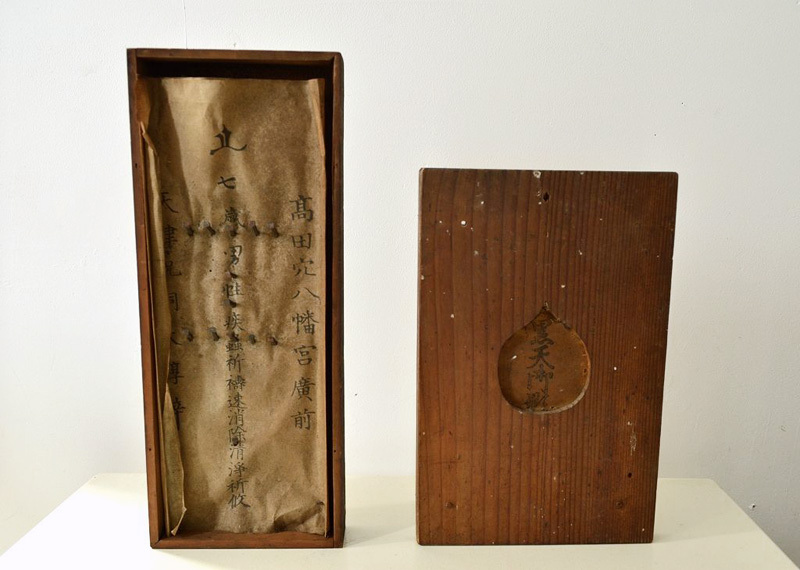 TWO TALISMANS (Dealer: titcoRet) – Set of a Shinto/Buddhist talisman for relieving the convulsion of seven-year-old boy and an unopenable talisman. Meiji period (1868-1912), Japan. Personally I’ve never seen such talisman stabbed by nails, so that it’s unusual and I have no idea what those nails stand for. Aged deterioration as is.